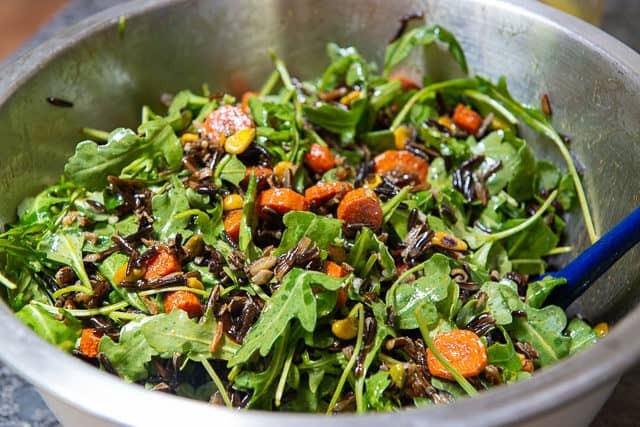 Wild Rice Salad - Can Be Made Ahead and Eaten Warm or Cold! 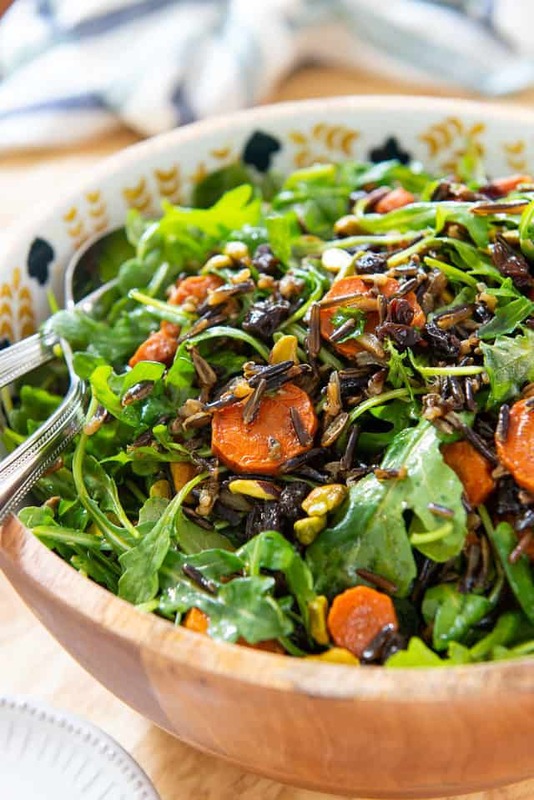 This Wild Rice Salad is on my list of Top 5 Favorite Salads of all time. It has incredible flavors and textures, and also keeps really well in the fridge for healthy eating at a moment’s notice. If you’re striving to eat healthier but still want to eat wildly delicious food, try this salad. Seriously, it’s so delicious. The magnificence of this salad is the precise combination of ingredients. I’ve tested many variations, trying dried cherries in place of raisins, swapping the carrots for parsnips for a more spiced flavor, subbing baby spinach for the arugula, but nothing comes close to the magic of this combination. 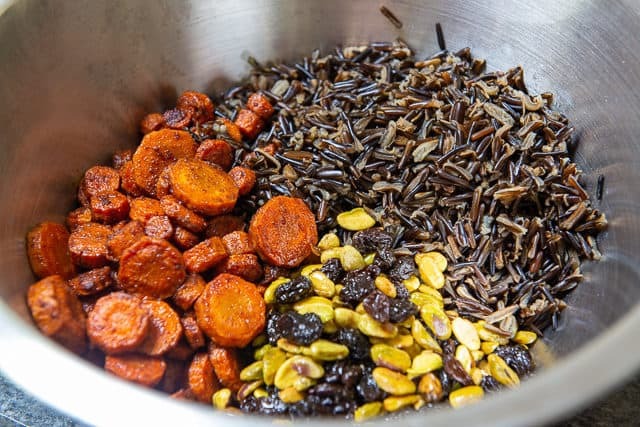 It is one of our “regulars” and if you don’t usually find yourself cooking with wild rice, you may just fall in love with its heartiness and flavor here. It doesn’t matter if the discs are different sizes, they just need to be the same thickness. 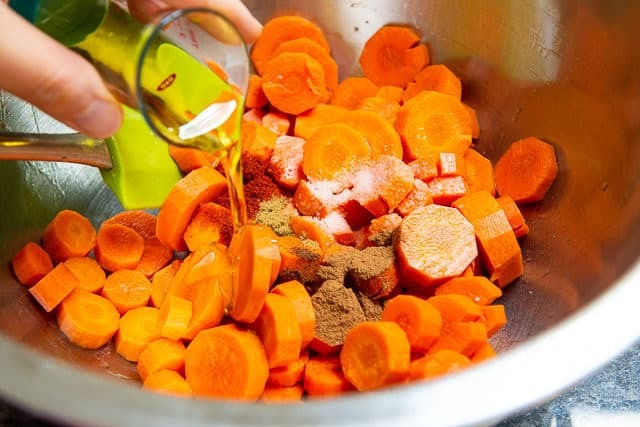 I love this spice blend with carrots, and I use the same flavors with my Carrot Raisin Salad. You’ll also want to get the wild rice cooking, and I like to use either a rice cooker or the Instant Pot (affiliate). 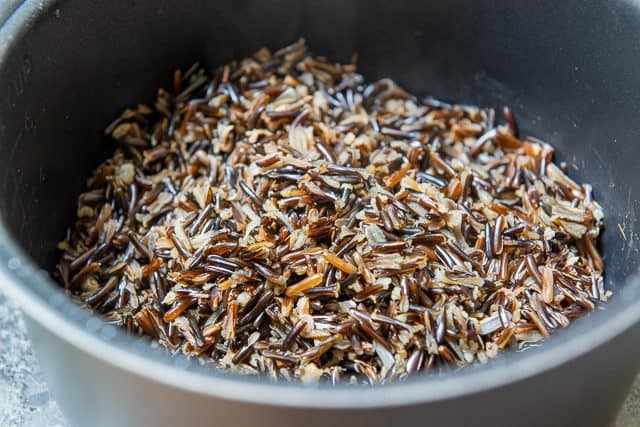 Using the rice cooker is as simple as combining rinsed wild rice and water and turning the machine on (I have success using both the brown rice and white rice setting). It’s comparably similar with the Instant Pot. However, you can also simply use a saucepan with a lid if that’s what you have. Then add raisins, and toss it together. This helps plump the raisins slightly. 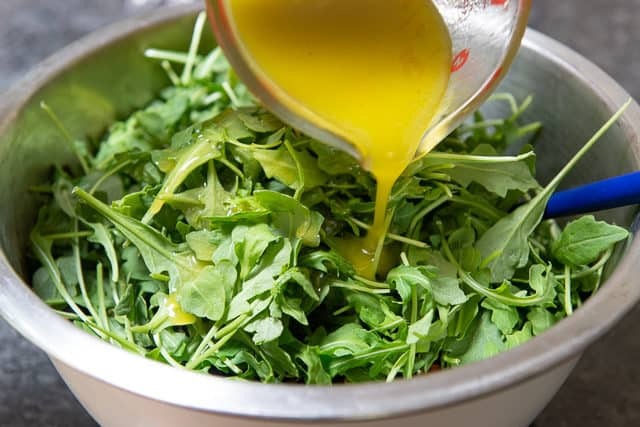 The lemon vinaigrette recipe is easy to make, and so flavorful. I don’t recommend substituting a storebought dressing, as it just won’t compare! Taste a little bit and see if it needs any more seasoning. Sometimes I add a small pinch of salt, and toss again. This salad is best eaten right away, however it stores surprisingly well in the fridge for up to 2 days. The arugula wilts slightly, but still has decent texture. Steak Salad, Cobb Salad, and Kale Salad are some of my other favorite lettuce-based salad recipes. Enjoy! 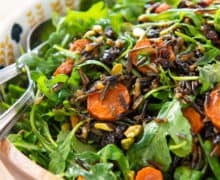 This Wild Rice Salad is hearty, healthy and delicious, keeps well in the fridge for healthy eating at a moment's notice. 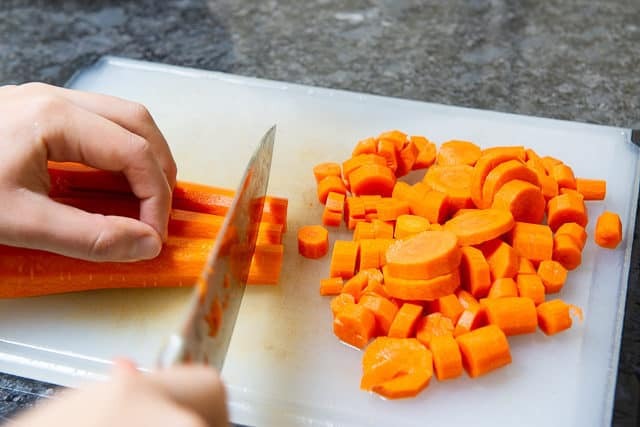 Slice the carrots 1/2" thick, and toss in a bowl with the salt, olive oil, cinnamon, paprika, cloves, and cumin. 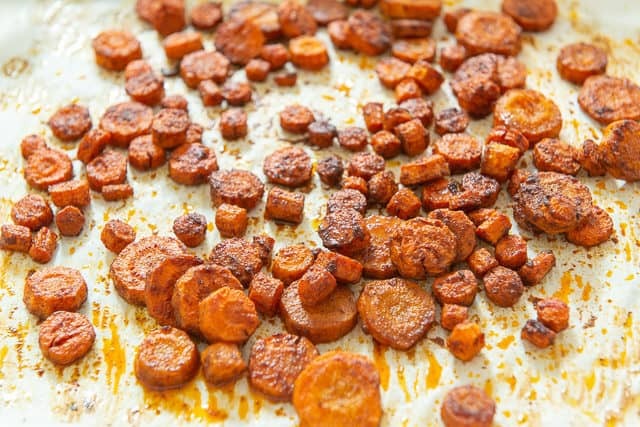 Spread the carrots out onto the parchment lined sheet pan, scraping any oil from the bowl on to the pan. Roast for 25 minutes, then toss and roast for another 10-15 minutes, until the carrots are tender. Next cook the wild rice with the salt per package directions. You typically need 2.33 cups of water for every cup of wild rice. I prefer to cook mine in a rice cooker, but you can also cook it in a saucepan or Instant Pot. 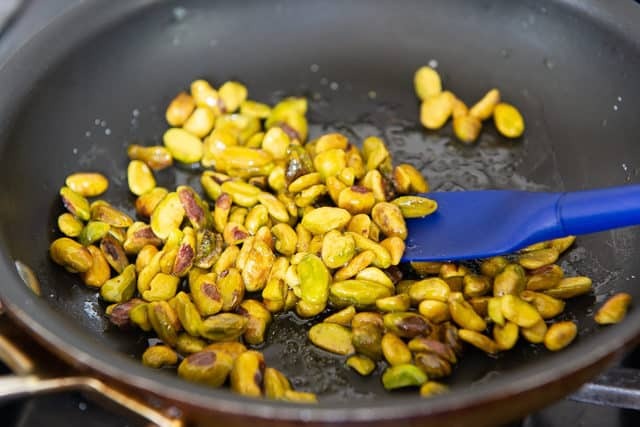 Heat the olive oil in a skillet over medium low heat, then add the pistachios. Cook for 3 minutes, stirring frequently, to toast the nuts. 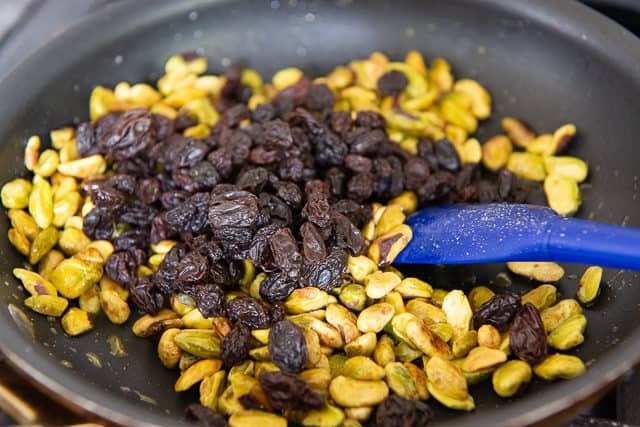 Then add the raisins, stir to combine, and remove from the heat. 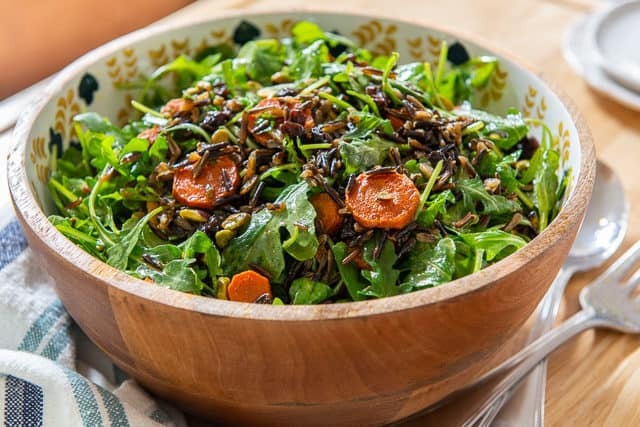 To bring everything together, toss to combine the cooked wild rice, roasted carrots, pistachios, raisins, arugula, and lemon vinaigrette. Taste and see if it needs another pinch of salt or any other seasonings. The salad is best while the rice is still warm, but leftovers keep nicely in the fridge for up to 2 days. Enjoy! Made this for Thanksgiving and everyone was RAVING. Seriously, who raves about salad on Thanksgiving?! It was that good. Same thing here – huge number of raves at Thanksgiving, and the most popular leftover that everyone wanted to take home. I’m now trying to figure out a great make-ahead main course to serve with it for a New Year’s Eve dinner!